It’s night market time again! Join us for a seasonal and ever-so-slightly spooky Pumpkin Party Night Market on Friday 19th October 2018, 5-9pm, on the Levenshulme train station car park, M19 3AB. Everybody ready for a big squashy pre-Halloween party on a car park? 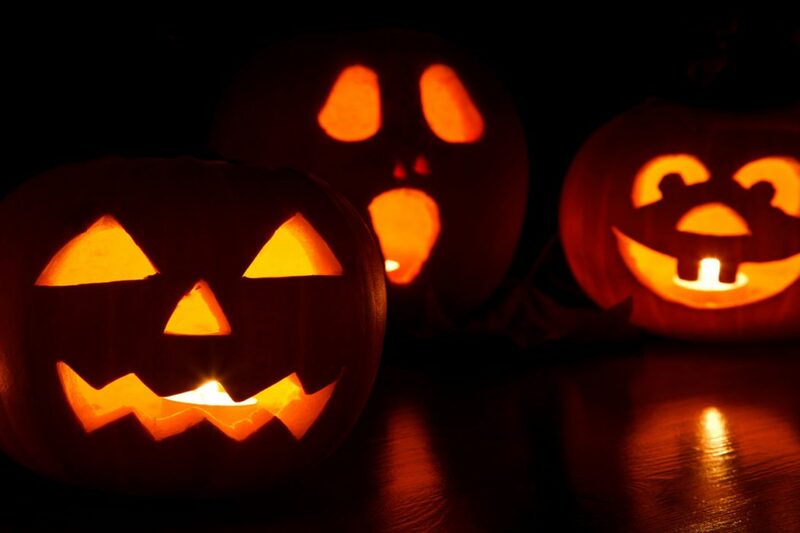 Get your carving pumpkins bought now and bring your best efforts to the night market on Friday 19th October, 5-9pm, as there’ll be a £20 voucher up for grabs – which the winner can spend at the market on any date from now until the end of the year. Look out for the candle-lit pumpkin display at the market! There’ll also be delicious pumpkin specials from our street food traders, including Thai pumpkin and chicken red curry from Issan Friends Thai Food and vegan pumpkin and sweet potato samosas from Perfect Samosa. MFDF Best Street Food Award 2017 nominee Blue Caribou Canteen will have pumpkin spiced maple butter fries with marshmallow foam on the menu for those with a sweet tooth.